Buckle up your best buddy. Crash tested. Clickit Terrain is a high performance car safety harness for high performing dogs, combining Sleepypod’s award-winning travel safety technology with enhanced safety, comfort and control features for everyday use. 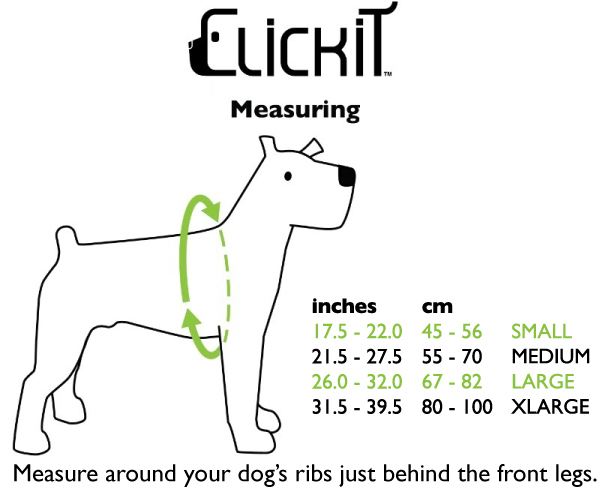 Clickit Terrain is designed for dogs approximately 18 lbs or more. It is light and easy to use without sacrificing safety. New shock absorbing webbing sleeves work with a broad padded vest and unique infinity loop design for more safety in the car.The same shock absorbing webbing sleeves make Clickit Terrain comfortable for use as an everyday walking harness. Reflective patches on the rear can be interchanged with service patches for working dogs. The Clickit Terrain Dog Harness was rigorously tested to include the same dynamic crash testing that ensures the performance of child safety restraints. Using DUKE 2.0, Sleepypod’s crash test dog that measures crash forces when moving forward in a collision, Clickit Terrain performed to Sleepypod’s high safety standards. It is light and easy to use without sacrificing safety. New shock absorbing webbing sleeves work with a broad padded vest and unique infinity loop design for more safety in the car. The same shock absorbing webbing sleeves make Clickit Terrain comfortable for use as an everyday walking harness. Reflective patches on the rear can be interchanged with service patches for working dogs. Clickit Terrain can be used with an optional Terrain Saddlebag pack. Clickit Terrain is designed for dogs weighing at least 8.1 kg. For lighter dogs we recommend the crash tested dog carrier bags SLEEPYPOD (Sleepypod ATOM, Sleepypod AIR, Sleepypod Medium) or the smaller SLEEPYPOD dog harness harness Clickit SPORT.